During his talks at one of the economic seminar broadcast by Al-Jazera channel on Qataris’ significant debts, the director of research at the Brookings Doha Center said that rates of Qataris’ debts have dramatically risen, revealing the difficulty of confirming the figure from official sources. Thoughtless policies of terrorism-sponsoring Qatari regime and working on destabilizing the Middle East region countries led the Qatari citizen into debt. These wrong policies and significant debts created a state of dissatisfaction in the Qatari street that sees that wealth of its country are spent on funding terrorism, provoking sedition, harming its neighboring countries and forming a military alliance with the enemies. 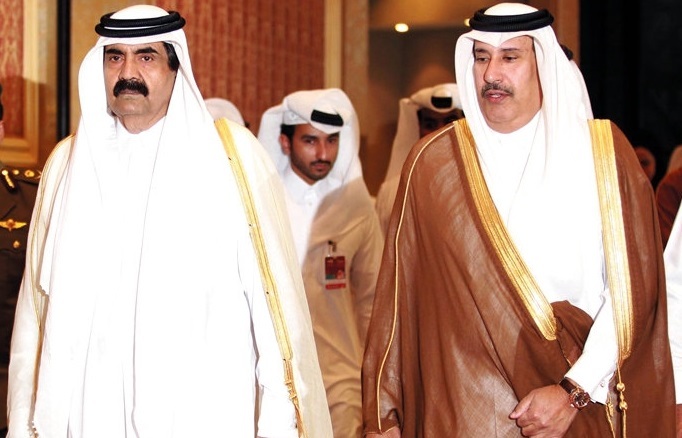 Despite the Doha government's attempts to conceal information, official Qatari figures and statistics emerged four months ago revealed that the Qatari government failed to take care of the Qatari citizen, overcome the difficulties of life facing him and provide a decent livelihood. This government also left the Qatari citizen in an open water without protecting him from the destructive impact of these wrong policies. Although Qatar's population is estimated at 2,641,669, Qatari citizens represent 12 % only i.e. 313 thousand. The Qatari government that tries to play a much bigger role than it could , failed to take care of the Qatari citizen and secure a decent life for him. According to Qatar Central Bank data, the average indebtedness of the Qatari citizens’ could amount to QR 1.397.044, assuming that 30% of the total number of Qataris i.e. 93.900 took loans. While the average loans of Qataris might reach QR 838.226.44 on the assumption that 50% of the Qatari citizens i.e. 156.500 took real estate and personal loans. Due to these facts that Qatari regime tries to conceal, demands of the Qatari street have grown more vocal for the regime to alter its practices and behavior and pay more attention to the domestic affairs rather than preoccupation with issues that are bigger than its capabilities. The Qatari street also calls upon the Qatari regime to stop tampering with the security and stability of States and the support and financing of terrorism.